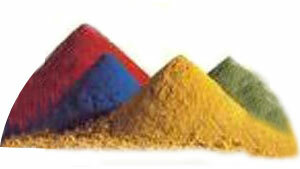 Universal Colorant Company is an organization with an advance vision, manufacturing Masterbatch (for plastics & rubber), Predisposed (dust less) pigment, Universal Color Concentrates, Polymer base master batches, additive master batches. The Company started manufacturing activity in 1989 under the brand name “UNICOL” MASTERBATCH, “UNICOL – PC”. 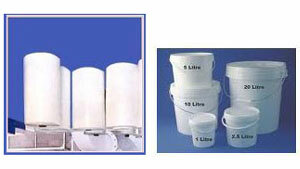 We offer polymer base Master Batch. 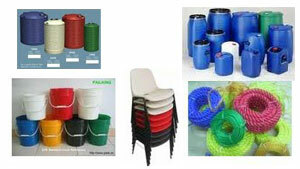 The base polymer may be LDPE/LLDPE/PVC. We offer food grade concentrate. We have matched more than 2000 shades in our lab. We have state-of-the-art facilities in our colour matching laboratory, which enables us to develop colors as per the choice of our customers. We offer Polymer base master batch for LDPE, HDPE, LLDPE, MDPE, PP, TPE, HIPS. We also offer PVC Master Batch for PVC Profiles, Sheets And other PVC Products. Available in different varieties of about 2000 different shades to meet different industrial requirements. Manufactured with virgin raw materials and the processing is done on the latest machinery leading to high quality products. We have every detail of the compositions of master batches and processing conditions in our records. This facilitates us to replicate / reproduce the same master batches at anytime in future without any deviation in colour shades or other properties. We use international quality pigments with superior functions such as high thermal stability, colour consistency in every lot and excellent light fastness. Our color master batches are highly suitable in varied industrial applications including manufacturing of mono/multi layer film, Woven Sacks, injection moulding, rotomoulding, blow moulding, HDPE pipe, wires and cables etc. We are matching the colors as per the PANTONE and RAL shade cards. 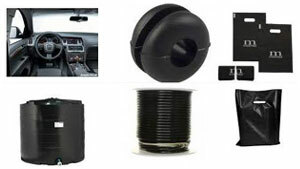 Offers weather ability characteristics to molded items for outdoor applications, irrigation pipes, automobile components, crates, films, rotomoulded tanks, garden chairs etc. Primarily used in mono / multilayer blown film for flexible packaging. These are based on the combination of highly pure and ultra refined silica and amide additives. It counter acts the tendency of extruded films in sticking together and helps in improving the opening characteristics of films/bags. We have designed these master batches on the basis of statically hindered phenolic antioxidants properly dispersed in poly-olefin carrier. These master batches are highly suitable for pipes and profiles, films, injection molded parts, blow molded items, rotomoulded tanks, etc. Ensures superior handling properties in automotive packaging application and also doesn't affect the sealing and printing properties. These are mainly used in mono / multilayer films etc. Help in improving the processing of poly-olefins (LLDPE, HDPE etc) and particularly in blown film extrusion. The other benefits are removal of die lines, melt fracture, back pressure and increase in gloss and output. 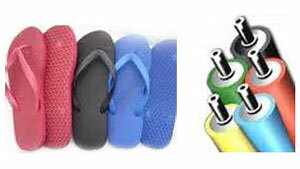 Used in blow molded items to improve the output and gloss on the surface. Optical Brightener is based on bisbenzoxazole type organic derivative dispersed in poly-olefin polymer. These master batches are added in polymers to reduce yellowing, improved whiteness, and to enhance the brightness of a product. These master batches function by absorbing the ultraviolet radiation and re-emitting the blue light. • Our color concentrate can be utilized for polyolefin, Engineering Polymers like –PE, PP, GPPS, HIPS, PET, PC, PC, ABS, SAN, NYLON, PBT, TPE, TPU, TPR etc. •	Consistency in color strength and shade. •	It can be directly mixed at Compounding stage in mixer or extruder without the sacrifice of dispersion quality.